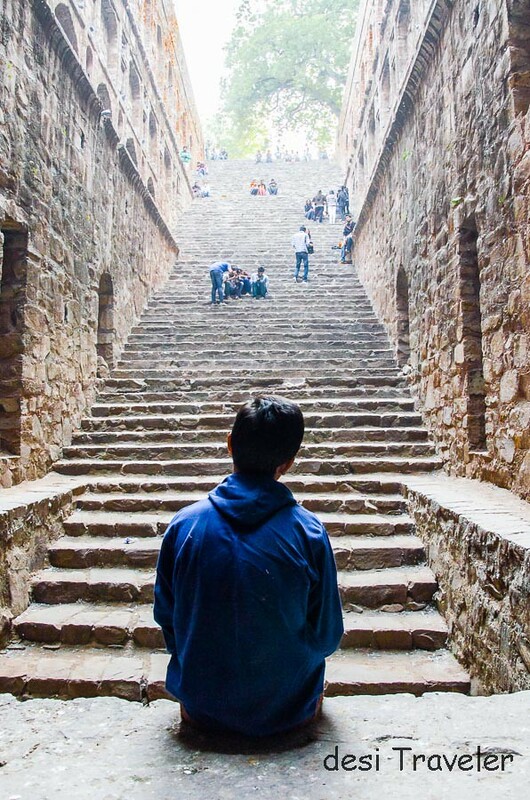 Is Agrasen Ki Baoli A Haunted Stepwell in Delhi? 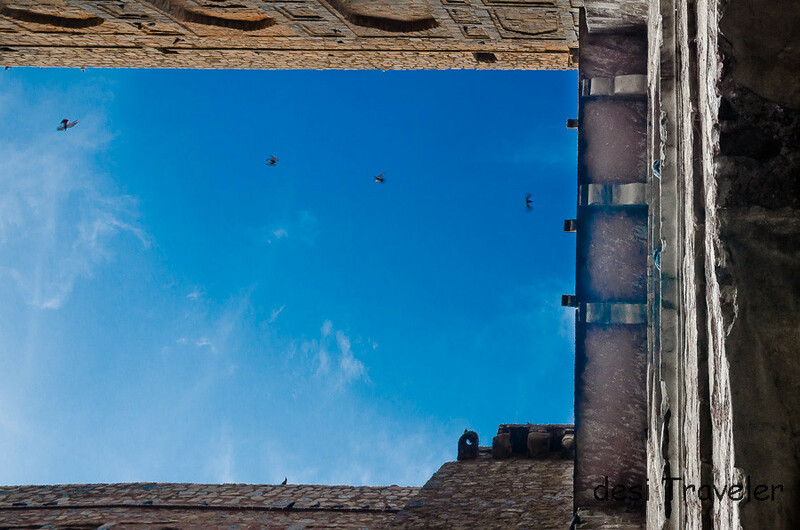 I was standing on the last step of Agrasen or Ugarsen Ki Baoli and looking at all the skyscrapers surrounding the hundreds of year old Stepwell when some pigeons decide to punctuate the blue sky. As if by reflex I press the shutter button trying to freeze their flight forever. Today when we open a tap we expect clean drinking water that originated thousands of miles away in some Himalayan glacier or has been hiding in an abyss hundreds of meters deep. India my motherland is a land of so many ironies that one can write a thesis on the same. Let me give 2 very simple ones here from two common sayings in India that is Bharat. 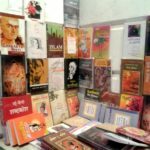 “Paisa pane kee tarah baha do” (पैसा पानी की तरह बहा दो ), or spend money as if it is water. Now compare the two one side water is compared to priceless life on other it is considered something that can be spent without a thought, and this in a nation where rivers were worshiped as goddesses. No Hindu ritual is complete without invoking Ganga and other holy rivers that today stand as most polluted rivers in the world. Anyways enough of Global gyan let me go back to Agrasen Kee Baoli a 14th-century stepwell right in the heart of Delhi near Haily Road in Connaught Place. 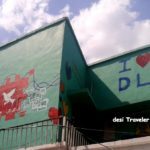 But most people miss it even though they visit CP just walking distance away, even most of the lists about must see places in Delhi give it a miss. But for some reason Agrasen Ki Baoli finds a mention in all lists about ” Most Haunted Places in Delhi ” and now it has found a place in Bollywood Sci-Fi – PK. Anyways while we consider water & our historical and cultural association with water to be of no value, while it is sold in bottles on every street corner. But the ancients knew the importance of water and water resources. And Delhi though blessed with the Yamuna, the river water was mostly used for cultivation plus it was not easy to carry to remote parts in even then widely spread out Delhi. 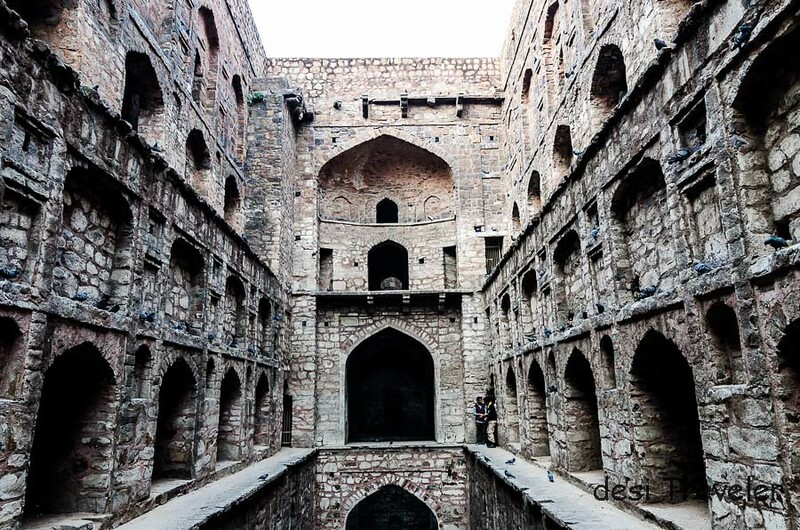 Also on the edge of Thar, Delhi could never rely on monsoon hence the need of step wells like Agrasen Kee Baoli. Part historical part mythical Agrasen Ke Baoli is believed to be built by mythological king Agrasen who is considered to be the forefather of the wealthy Aggarwal community in India. 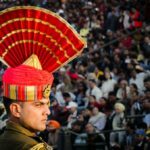 But I am pretty sure it was built and rebuilt many times over ages and survived change of guards and empires at Delhi from Pandavas, to Tomars and Chauhans, then the Slave dynasties, followed by Mughals and then the Raj and finally now is under the control of Archeological Survey of India. 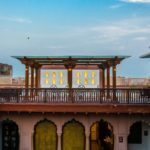 The latest credit for building Agrasen Ki Baoli is given to a wealthy Aggarwal merchant Nattal Sahu who was also a minister during the reign of Tomar King Anang Pal III. Now Baolis or step wells are very scientific structures and allowed direct access to water through steps as the water table rose or declined due to rains and weather the lowermost steps were always immersed in water. If one looks at the way they were designed to get access to water by descending on stairs one is bound to conclude they predate the simple pulley. Because once we had the pulley system, accessing water became easier. But again my hypothesis could be flawed as step wells continued to be made well into post-Mughal Era when pulleys were around for thousands of years. 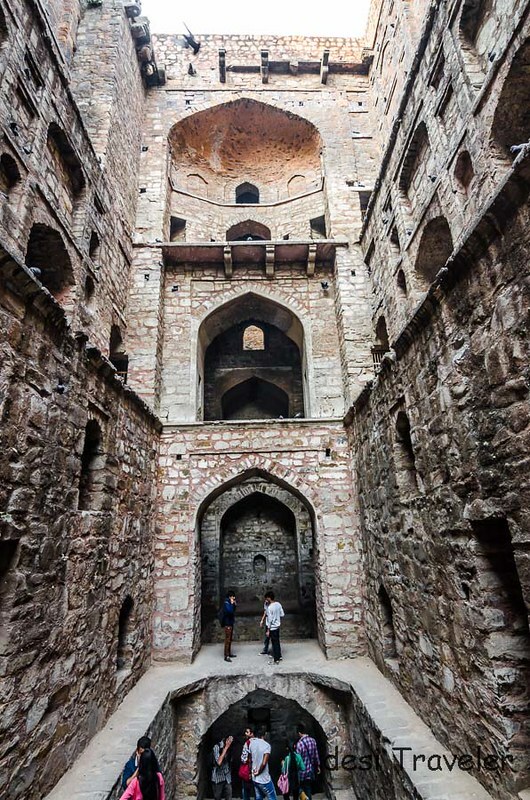 In the case of Agrasen ki Baoli, just walking distance from Barakhamba Road the nearest metro station is a 3 storied structure the lowest of the 103 steps till just a decade or so ago were always hidden under water. But unlike modern buildings, these stories or levels do not rise to the sky but they go down in search of Water the real elixir of life. But when I visited the same in November it was bone dry and home to some pigeons and lovers looking for a place to steal a few moments from preening eyes. I am not sure when and how the water in the Baoli vanished as I have seen pictures of kids jumping into the Agrasen Ki Baoli in past. Maybe it is the result of one of the bright ideas from ASI, which is doing a decent job for a change to keep it clean and does not charge a ticket for the same. Hence the abundance of pigeons, lovelorn couples, ghosts and recently an alien. Sacchi, Kasam Purani Dilli Ki, some people think that Agrasen Ki Baoli is haunted, poor fellows have no idea that the alien pk made it his home after he shifted from Mandava in rustic Rajasthan in search of his remote control to go back to his own planet. So don’t worry about the ghosts, it is only an alien you may encounter there, just like we found him silently sitting at the bottom of the Baoli, looking towards the sky. And BTW by WE, I mean desi Traveler and Tarun Gaur of My Greedy Backpack who has been to Agrasen Ki Baoli earlier but was kind enough to accompany me. 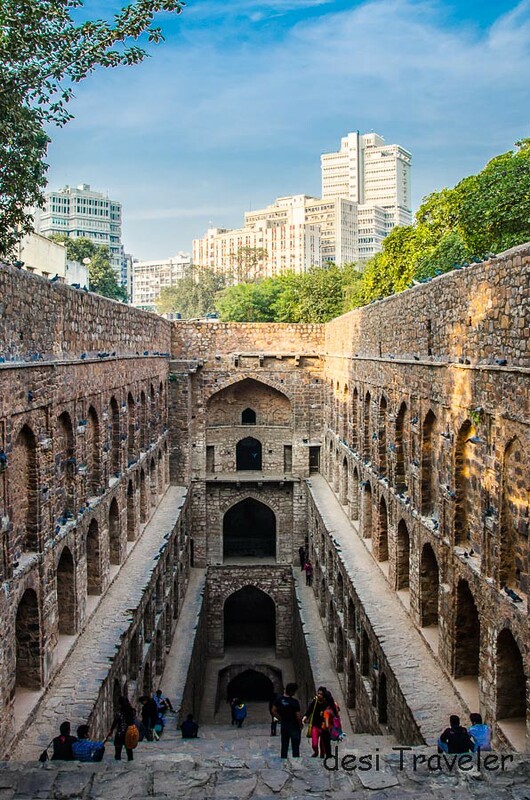 So do visit Agrasen Ki Baoli and check on of the rare pre-Mughal Era monument right in the heart of New Delhi that signifies the wisdom of the ancients and their approach to conservation and use of water i.e. Life. The nearest metro station to Agrasen Ki Baoli is Barakhamba Road. But you can also walk from Rajiv Chowk also if you are coming from the Yellow Line. Unless you enjoy getting stuck in traffic jams I suggest you take a metro and get down at Rajiv Chowk on Yellow Line or Barakhamba Road on Blue line and walk if you are on the Yellow Metro line, if you are on Blue line you can get down at Bara Khamba Road Metro Station and walk a little less. Once you reach the back lanes you better ask for directions as it gets a bit confusing or look for this huge Ganesha on of the walls that is bang opposite the gate of the Baoli. Photography is allowed without any charges. Useful Trivia about Delhi : Another awesome place to visit in Delhi Mughal Garden also has no entry ticket. Other spellings for Agrasen Ki Baoli: Uggar Sain’s Baoli (as per ASI site ) and Agar Sain ki Baoli also Ugrasen ki Baoli. Wow Baoli ek or Naam Anek, well remember this is India that is Bharat. Some parking is available in the lanes opposite but don’t bank on it, take a metro it is more pro planet and cheaper also. i have agresen ki baoli at pk movie but today from your post i came to know more about it its realy nice .thanx for posting it. I love the first photograph of this post. And you have unique style of compiling a post. Cool stuff. I’m really thankful for these sights, Prasad. Great pics, there. 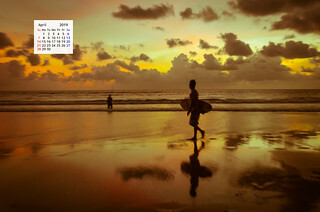 Lovely… always good to read about places that I have never heard of before. Love the photo of the well flanked by the buildings – it look unreal! Recently visited this baoli too. Was sad to see the sorry and dilapidated state it is in now. Still remember the first time I visited this baoli 10 years ago with a friend. It was a lot quieter, cleaner and unlocked in contrast to the crumbling plasters, unruly camera happy crowd and locked iron doors that characterize it today. One place that I too have seen in Delhi! Lovely pictures as usual. What a stark contrast in that last but one photo – the old and the new! Loved the story and photos. Thanks Prashanth, Delhi keeps on reinventing herself.. I loved the Baoli. I have seen such step wells in Ahmedabad and other cities too. It is tragic that it has gone dry. There is no reason why it should. Of course, PK gave the baoli a lot of prominence. Are these structures dying a painful death? 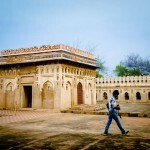 Yes, the Baolis in Rajasthan and Gujarat are more ornate and showcase the stone work that developed in later years….